This is the follow on from my essay for you on why Nathan Merritt being passed over for Origin selection his whole career was an utter farce. The reason it even came to that is that someone tried to compare the situation of Merritt to that of Matt Orford. To which I take offence. Matt Orford, was and has since been repeatedly shown up for not being able to handle himself on the big stage. This has happened almost his entire career. On top of that, he came along during a time when there were other players with legitimate claims to the NSW number 7 jersey. No argument will be heard on this. So we head into game one of the 2004 series with Craig Gower. They were in 4th place on the ladder when the teams are picked in 2004 and coming off a big win over Souths. Matt Orford on the other hand was coming off a 2003 season where Melbourne had done well but bombed out of the finals in a big way with a 30-0 loss to the Bulldogs. Orford couldn’t orchestrate his team to score a single point with the season on the line. You can’t argue that decision. On top of that, we win the match in thrilling fashion (the Timmins field goal) and take the lead in the series. But of course, Gower gets injured. We are now looking for a third string halfback. Melbourne win all 4 games played between the first match team selection and the Sunday night of the second match team selection. They were all against teams that would finish the season no higher than 8th, but a win is a win. However at the same time, a young halfback from NSW is leading the way for his top of the table Roosters team. Brett Finch is playing well in a team that finished second in 2003 and was comfortably top of the table at the time in 2004 having rattled off 6 consecutive wins. Brett Kimmorley was having an awful season for an abysmal Sharks team and really couldn’t have come into consideration outside of his experience possibly being needed in a big match at Suncorp. It’s a toss-up between 2 untested players and the selectors go with Finch. It’s not a lock like the other decisions that have gone against Orford at this point, but considering that the Roosters went on to play in the Grand Final again in 2004 and Finch won the Dally M halfback of the year, I’m not even sure that you can say that Orford was robbed in hindsight. And let’s not forget that this is a fight for the 3rd choice halfback spot. Not exactly knocking the door down for selection. We lost the match in convincing fashion and the selectors decide that Finch is not the man to retain the title for us and he is dropped for the 3rd and deciding match. 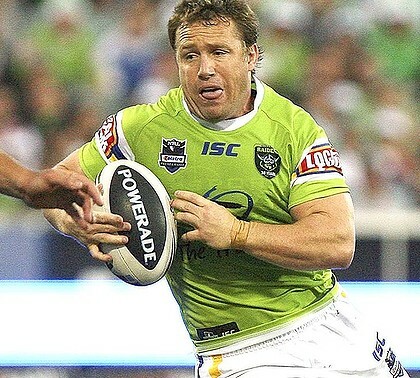 So with 2 halfbacks down and one discarded, can Orford be the 4th choice man to take us to Origin glory? Well, in a controversial move, the selectors realise that we have 2 great number six’s and try to shoehorn one of them into the halfback position instead of risking a decider on an untested halfback, especially considering how well it went in the last attempt. They go with Trent Barrett. It should be noted at this time that the Storm are sitting in 5th, and doing relatively well, but not setting the world on fire. Also, let’s not beat around the bush, this whole Barrett at halfback decision was controversial. Not necessarily because Orford deserved the spot, but because it simply seemed like lunacy! But you’ll never guess what happened next… We destroyed the Maroons 36-14. So using the hindsight rule here, good decision not to go with Orford. We retain the shield to go back to back. Hard luck Matt, looks like you weren’t the 4th best NSW halfback option in 2004. Orford and the Storm see out the season in 6th spot and once again get demolished by the Dogs in the finals. Orford, again does very little in the big pressure game. So 2005 comes along and Joey has made himself unavailable from rep duty prior to the start of the season to concentrate on the Knights. Going for a three-peat, we head into game one looking for a halfback. At the time the rejuvenated Sharks are in equal first with 7 wins from 9 starts while the Storm are travelling along as per usual in their comfortable 5th spot. 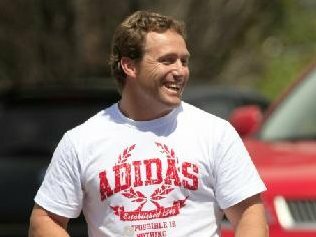 Brett Kimmorley is picked to direct the team around the park, and with the Sharks doing well it’s a good choice. By this stage in his career, he has a premiership ring from his time in Melbourne, he’s got 5 Origin matches under his belt and has also represented his country 22 times including being the incumbent Australian halfback. Orford by comparison, at this stage of his career, is considered a solid player, with 2 NSW City representative jerseys to his name. We lose the match (not badly) but Kimmorley throws the pass that leads to the intercept that loses us the game and Joey decides that he can’t take watching from the sidelines and comes out of representative retirement for the rest of the series. He single-handedly delivers NSW their third consecutive title and once again I will not enter into any discussion that tries to compare Andrew Johns and Matt Orford. We call on both Trent Barrett and Andrew Johns to come out of retirement (Joey for a second time in a year) and they both turn us down. So at the last minute we have to throw the only halfback that we have with Origin experience who is not named Kimmorley. We go with Brett Finch. It’s seen as only a stop gap measure, but lo and behold, Brett Finch comes out, scores a try and kicks the winning Field Goal! So even though Orford is available for game 2, you can’t go past the guy that won you the first game and Finch is retained. We get belted and as expected, people realise that Finch should have remained a stop gap selection. So surely, Orford slots back into the halfback spot and fulfils his destiny, right? Nope, guess who else is no longer injured? The match is a decider, so all the thinking behind picking him in the first place still rings true for this game. A narrow defeat in game three sees our run end at 3 (and QLD’s run of a million begin) but nobody was put to shame. It was a close contest and the players did well. Orford finishes the 2006 season with Manly in a familiar place (5th to be exact) and his side bows out of the finals in a familiar fashion, losing 28-0 to the Dragons in week 2. Once again Matt Orford is unable to get his side to score a single point in their biggest game of the year. So 2007 is where it starts to get a little bit interesting for the people that sympathise with Orford. Orford misses a handful of games at the start of the season but is back a few weeks before Origin selection and Manly are sitting pretty on top of the table. However, the NSW selectors appear to have made a clear decision on picking for the future in the halves department. Or they were kind of forced to. Joey, Gower and Barrett are retired, Kimmorley is too old and Finch is too rubbish. We go with Jarrod Mullen (really? ), who has 31 first grade games under his belt, for game one and while we don’t win, he’s not awful. But we’re going with a youth policy so you can take the loss on the chin and you stick with him for game 2. Only he gets injured before game 2. You’re down a game and a loss gives QLD the series for the second year in a row. So do you pick Orford, who has clearly been shied away from due to his inability to handle pressure, for such a big match, or do you rely on old hand Kimmorley to try and get the job done, considering he’s only keeping the seat warm for the youngsters we are trying to blood? A decision I can understand but probably the first REAL time that you can say that Orford might have been hard done by in missing out. Even worse is that we narrowly lose anyway and instead of seeing how Orford goes in a dead rubber, they retain Kimmorley. That’s the first time that I’ll agree that Matt was pretty unlucky and the first time I personally would have chosen him. For those keeping score, that Orford 1, everyone else 14. Orford then goes on to prove the selectors right in the grand final that season, losing to his old team 34-8 as he and his team fails to fire on the big occasion in what is becoming more than just a habit, but an indication of his legacy. 2008 comes along and Orford is determined to prove himself. However by this point it is clear that no amount of regular season games are going to convince selectors that he is cut out for Origin football. And Manly are dominant all season. Orford is in the best form of his career. But the selectors (rightly in my opinion) won’t be convinced until he can do it in the big matches. He is considerably younger than Orford (who is 30 by this stage) and while he isn’t our long term solution, they are at least still looking for one. Game three sees the debut of Mitchell Pearce. We lose and he doesn’t set the world on fire, but hindsight says that he is the long term guy they are looking for. The end of the 2008 season comes around and FINALLY Matt Orford has something to show for it. He is the Dally M Player of the year and his Manly side win the most one sided Grand Final in history. He’s 31 years old by the time the 2009 Origin series rolls around. What’s the point of giving him his debut now? Doesn’t that just set our team back even further in terms of looking for a halfback to lead us into the next decade? Luckily the decision is taken out of everyone’s hands as the Eagles bomb their way through the first half of the 2009 season, sitting in 13th leading into Origin one and giving nobody any reason to whinge over Orford missing out. Fed up, he takes his apparent talents overseas for a season after that, only returning to humiliate himself in a Raiders jersey for 6 matches in 2011. So the next time that someone tries to tell you that Orford was unlucky to miss out on Origin selection throughout his career, remind them that the final score on my scoreboard from 03 to 09 was Orford 1, everybody else 20. Much like the losing score lines in most big matches that Orford played halfback for. **It’s often been mentioned by many NSW eligible players that they feel like they need to be in Sydney to be considered for Origin selection. I’ve always thought it was rubbish. I have no doubt this played a part in Orford’s thinking with his switch. ++It should be noted that Orford didn’t miss a single match of NRL football, which is intriguing. Possible pressure from the club, as the star new recruit? I don’t know. ^^9 years into his career. After failing for 5 consecutive years.